The easy to follow along Advanced Core Exercise Videos, with detailed description for their execution and still photoʼs showing you proper position. The easy to follow along Advanced Compound Exercise Videos, with detailed description for their execution and still photoʼs to ensure proper position. 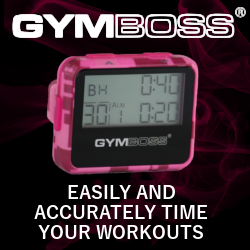 Easy to follow HIIT Training (High Intensity Interval Training ) videos designed to really burn the fat for up to 48 hours and all done with the GYMBOSS. 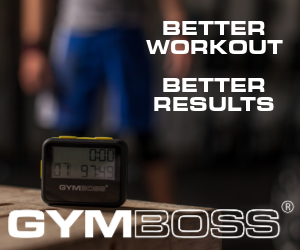 Easy to follow along MRT Training (Metabolic Resistance Training ) videos designed to really kick your fat burning and metabolism into overdrive for up to 48 hours and all again using the state of the art interval timer "the GYMBOSS". You will be able to speak with me on a 1 to 1 basis via SKYPE internet connection once per month about your fitness and training. A perfect opportunity to have questions answered direct from a Professional Personal Trainer. Participate in CONTESTS that I am going to running through out the year for BIGGEST TRANSFORMATION, MOST BODY FAT LOSS and prizes also given away for best communication and attitude toward training and well-being! There will be CASH PRIZES and VERY COOL GIFTS given away just for participating in the contests themselves. Access to helpful posts regarding physical training, health and nutrition, and additional helpful mind power techniques to really keep your momentum going to achieve all of your goals. GO EXTREME AND GET FULL ACCESS TO EVERYTHING! Here is a sample post in the Advanced Gold Membership area. Just click on the image and have a look. See you on the other side in the Membership Area!